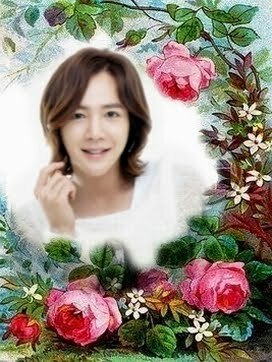 BYJ, JKS, LMH & Hallyu Star (Asian Drama - Movie) : Thailand Site...: [News] Lee Min Ho’s Fans Are Good For The Environment. 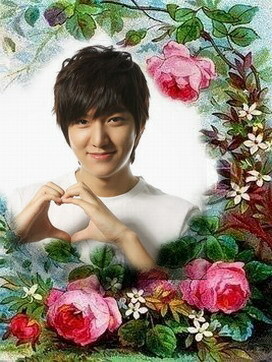 [News] Lee Min Ho’s Fans Are Good For The Environment. Actor Lee Min Ho not only has a lot of fans in Chile, but his fans recently found a unique way to express their enthusiasm. They helped restore a fire-ravaged forest in his name in Patagonia, which they hope he will one day visit. From December 2011 to January 2012, a wildfire destroyed a large area of the Torres del Paine National Park in southern Chilean Patagonia. The national park is known for its beautiful mountains, glaciers, lakes and rivers. The wildfire destroyed 68 miles of the park, including miles of native forest. A project was created called Reforest Patagonia. The project asked people to donate money to plant trees in the damaged section of the forest. So, The Minoz Chile Fan Club decided to help reforest the park in Lee Min Ho's name. As of today, the fan club has donated over 300 trees, each costing 2,000 pesos, which amounts to about $4. The fans call this new section of the restored national park, Lee Min Ho Forest and are pleased to say that you can see the progress through a satellite photo. On the webpage for this forest, Minoz fans are quoted as saying, "We planted this forest to express our love for the Korean actor Lee Min Ho. We wanted to show him a beautiful Patagonia and hope for his visit." Although he has never traveled to South America, the actor is very popular in Chile because of his performances as Goo Jun Pyo in "Boys Over Flowers," Jeon Jin Ho in "Personal Taste," Lee Soon Young in "City Hunter" and Choi Young in "Faith: The Great Doctor." He is slated to appear next in the drama, "The Heirs" with Park Shin Hye. Chile's fans will be sure to watch. Kdramas are increasingly popular in South America and especially in Chile, where many students watch them on youtube. And it's not just Korean dramas that are popular in Chile. The South American country has taken to Korean culture in a big way. Chile also has many kpop fans. In 2012, Bigbang took their Alive Tour to Chile. If you want to take part in this project you can find out more at www.reforestemospatagonia.cl/?lang=en.